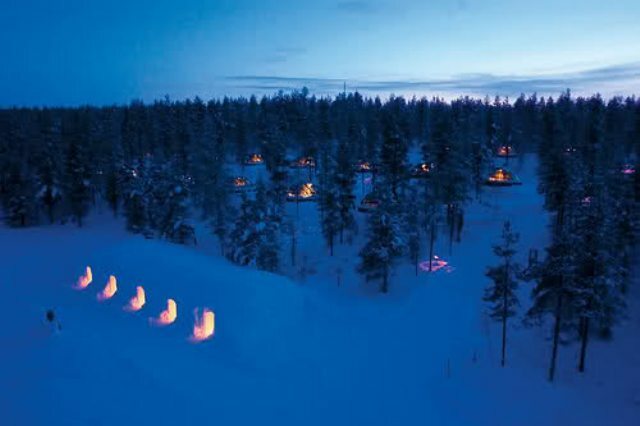 From the air this has to look like giant light bugs or a weird phenomenon in the woods. 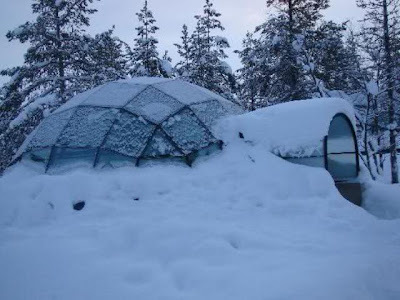 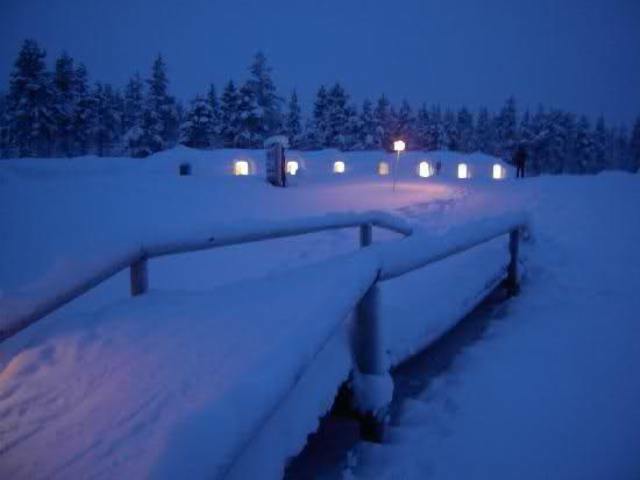 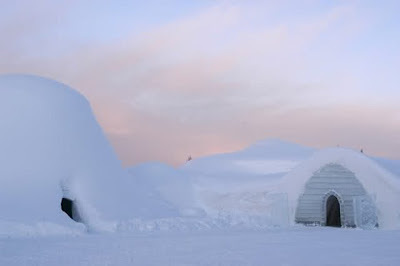 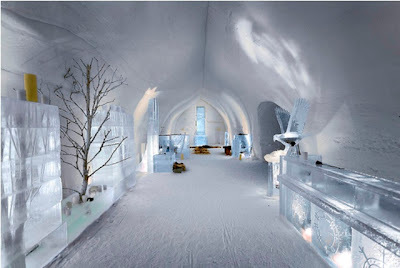 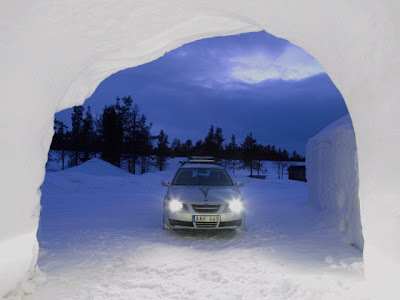 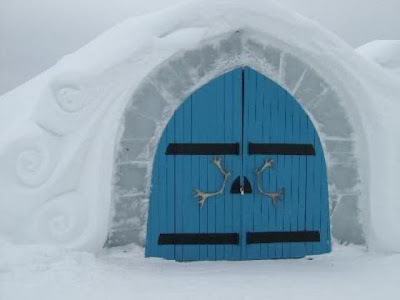 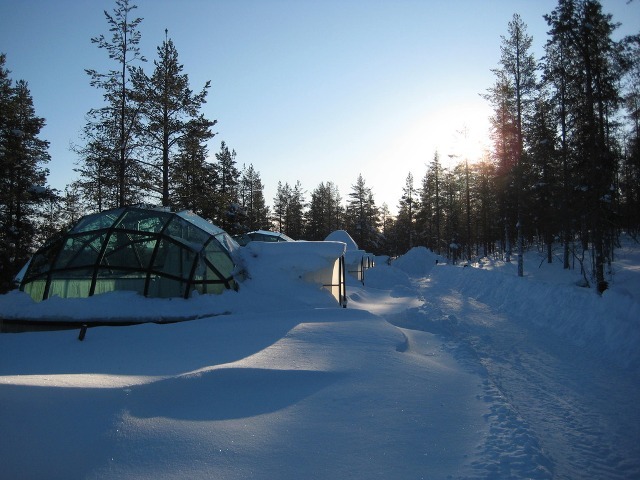 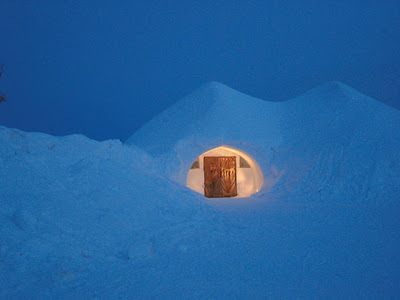 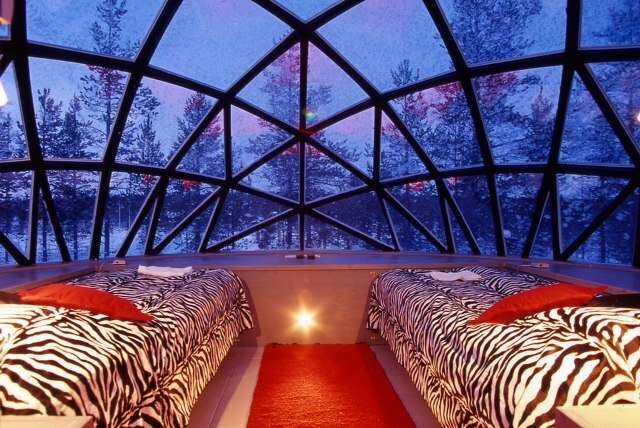 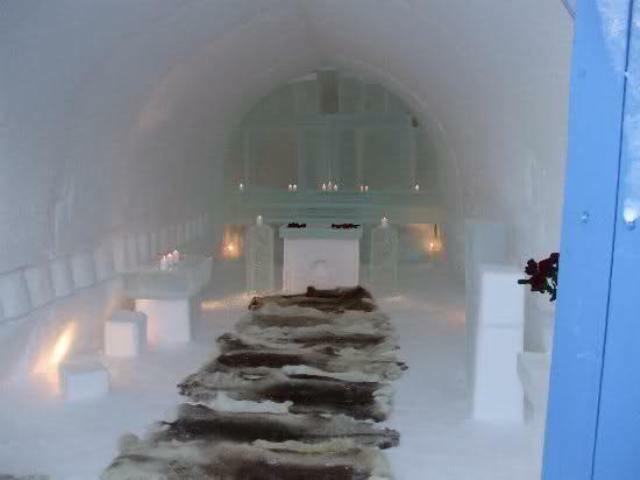 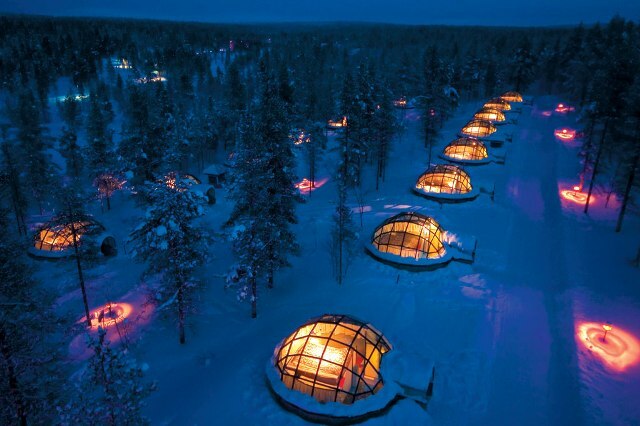 Both assumptions are wrong, this is the stunning Kakslauttanen Igloo Village in Finland. 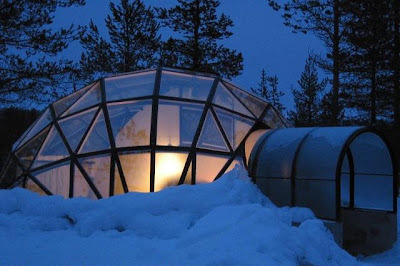 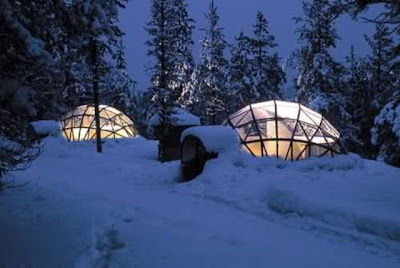 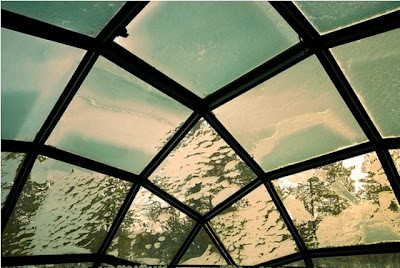 Great glass igloos that obviously glow in the dark from all the lights inside of them makes them so special. 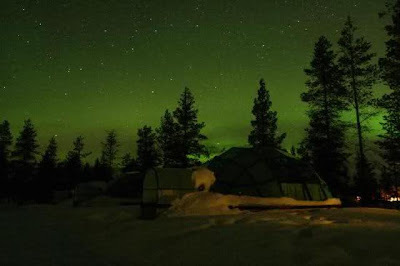 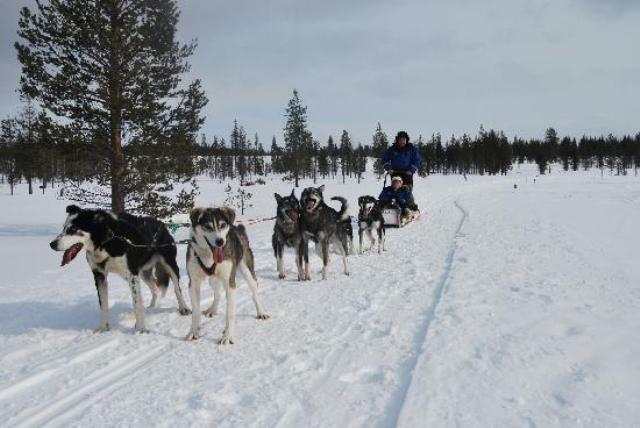 From each igloo you have a great view over the snow landscape and if you are lucky you'll maybe see northern lights at night, if not; enjoy the million stars. And don't worry, modern technology is installed in every igloo that make the glasses clear and keep them away from white frost, even if the temperature drops under -30 Celsius.